Comments: This large growing China shrub produces single flowers in several colors from off white to shades of pink, yellow and orange. 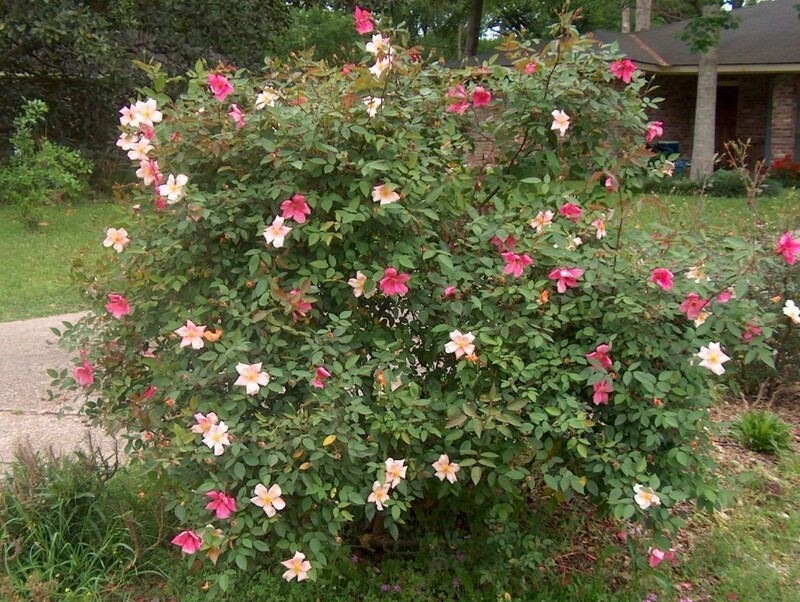 It has been grown since 1894 and is tolerant of a wide range of growing conditions that other roses may not tolerate. It has good tolerance to most rose pests.